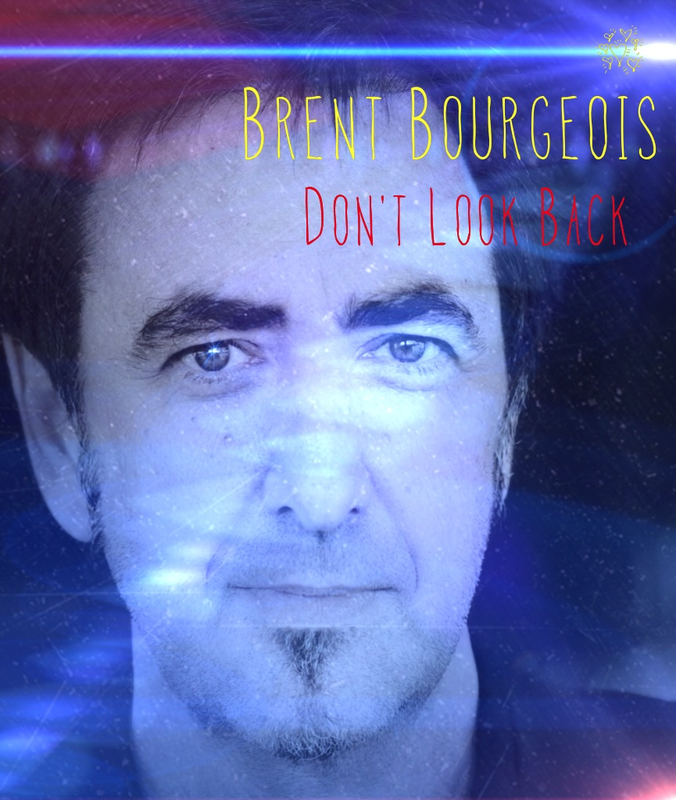 Brent Bourgeois Perfects His Curve Ball With "Don't Look Back"
It's been more than 20 years since diehard fans have heard anything by singer songwriter Brent Bourgeois, known for his solo work and more notably for being half of 80s New Wave; Synthpop group; Bourgeois Tagg. Leaving the group for various reasons, Brent moved to Nashville in the 90’s at the invitation of friend Charlie Peacock to produce Contemporary Christian Music. Brent Bourgeois seemed to have the golden touch working with the likes of some of CCM's greatest teen pop stars. In my opinion, he made these artists sound less CCM-ish and more like the true music artists that they were. But those diehard fans were always asking when Brent might put out another album. Fans will have to wait no longer! Brent . . . is. . . . back!!! And like a fine wine that has aged well, Brent has a new album that is sure not to disappoint. ”Don't Look Back" is the title and releases June 2nd. This week I interview Brent Bourgeois to talk about why he left, what brought him back and his creative way of getting those diehard fans and new fans alike to participate in the selling of this LP. ST45: Brent, thank you so much for taking time to talk with me. I've been a long admirer of your work as an artist and producer and more. You've had an amazing career! I have this theory that artists I wouldn't particularly listen to, I find myself liking a song or two of theirs, only to find that people I've liked, worked on those projects. You're one of those people. Tell me where your love of working in music came from. Brent: I was always kind of a one-trick pony as a kid. I loved baseball, but I was a prodigy at music, specifically the piano. 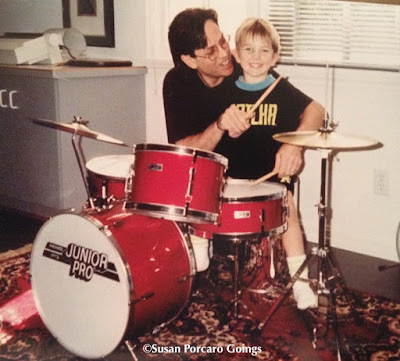 It was just something I could do at a VERY young age, and I had perfect pitch. So music was just something I always did, always was destined to do. Once I found out I couldn't hit a curve ball, I never thought I would do anything else. ST45: "Dare to Fall in Love" from your 1990 self-titled release is one of my favorite tunes you recorded. For us Hispanics, that is our jam! I read a while back that you were not crazy about this song and wished you had not recorded it. ST45: Kind of Maria Muldaur's "Midnight At The Oasis." I read it was added at the last minute and was nothing like the rest of the album and as we all know, was a huge hit. Both songs, yours and Maria's showed your diversity, which I wouldn’t think is so bad. Brent: “Dare to Fall in Love” was in a pile of songs for "other people" that I wrote as part of my publishing agreement. Some of those songs also showed up on my next record “Matter of Feel,” to my lasting regret. I tried to hide “Dare to Fall” from my record company because I knew if they heard it, they would want to make it a single, but somewhere along the way they heard it. And made it a single. ST45: What was the inspiration behind it? Even though it was written for others to record, there had to have been some type of situation that inspired you to write it. Do you have regrets of writing that song? ST45: Great answer, but not unusual. I’ve heard that from several songwriters. So let’s talk about your early days. Where did your love of music came from? What was getting into the music industry like and how do you think it differs from today? Brent: The answer to that question is really long; the short answer is that everything has changed. When Bourgeois-Tagg was being courted by record companies the music industry was near the top of its game. Budgets were large, two albums were guaranteed. . . (at Warner Brothers in the 70s, it was three), you were going to make at least one video, and that video was expensive to make. Record companies were large operations, with huge rosters. The biggest sellers sold millions, sometimes even tens of millions of records. If you didn't sell 100,000 records or more out of the gate it was considered a disappointment. But considering how much money was spent to break an act, it had to be a disappointment. But unless you sold literally millions, the artist would never see a penny of record royalties because the cost of making, promoting, and getting the record to market was so huge. Our first two records cost $250,000 each to make, and we made several videos that cost that much or more. So even though we had a big hit with "I Don't Mind At All," we left Island Records something like $700,000 in the hole. Now, the whole system is flipped on its head. There are only 3 major record companies and they are hardly signing anything. Everybody else is "independent," which can mean almost anything. The music industry itself now works at something less than 10¢ on the dollar. There are almost no record stores. Radio means almost nothing to all but a very few artists. Recording studios are going the way of stock brokers and travel agents. We are all our own chief cooks and bottle washers. The good news is technology has made the recording process cheap enough for almost anyone to make a record. (Some would say that is not necessarily good news). I made this record for $5000, an absolutely unheard of amount even a short time ago. So I don't have to sell all that many copies to break even, especially because I am not giving 85% of the income to a record company. But I am responsible for all marketing, promotion and distribution, something the record companies, with their vast resources, did very well when they wanted to. I think the person I feel the worst for is someone like my son, Adrian. He was born in the wrong era. It is extremely difficult for someone like him to even make a decent living doing the thing he loves to do and is so good at. And it breaks my heart. ST45: Adrian truly IS an anomaly. He is a throwback, which says a lot of his upbringing. He is a rare breed, who understand what true songwriting is all about. I was a fan from the moment I first saw him and his friend, singer/songwriter/musician Ricky Berger. Those two are incredible! I'm sure people knew after you left Bourgeois-Tagg, WHICH by the way, B-T are in that category of being considered cult classic artists. It seems most music enthusiasts have that true appreciation and understanding of who you both were and what you were all about. It was sad to see that era end. 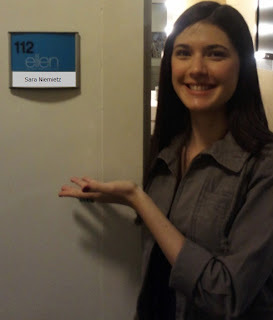 But then you moved to producing some of Contemporary Christian Music's brightest stars, such as Rachael Lampa and Jaci Velasquez, Point of Grace, as well as others. The song you recorded with Ginny Owens; "One Thing” from the “Roaring Lambs” album; love that song. Definitely did not have that CCM sound which I think, for that season, was out of the ordinary. Brent: I think that song was right in line with other stuff I was producing at that time in the CCM world, whether it was Cindy Morgan, or the “Streams“ album. ST45: And then you left the music industry altogether. . .
Let’s talk about what you brought you back to making music and create a new album. For no less than $5,000, I might add. Brent: I don't know how to explain when it goes away, and I don't really know how to explain when it comes back. There are probably some practical reasons for me doing this when I did. The technology has advanced to the point where it has now become conceivable to do what was absolutely impossible not too long ago. It was never possible to consider making my own record without a record label and a recording contract, and those two things were in the rearview mirror for a guy my age that wasn't ever a platinum-selling artist. And financing one's own record was a pipe dream and a certain money-loser to boot, which made it an extremely irresponsible thing to do for this father of four. But now...it's possible to conceive, and if not now, when? ST45: Sounds like you had a lot of difficult decisions to make, Brent. Being a parent myself, I can empathize. And then as you put it, "psyched" yourself into not being able to make music, also had to have been hard. Years have passed and if I could be so bold as to say the flood gates of creativity opened up and writing began to emerge. The outcome of that is your new album "Don't Look Back, made at the cost of $5,000, which completely baffles me! Following you via Facebook, I am in awe of the personnel on this project, Brent. So many incredible people that reads like a who's who for us who love music. ST45: Wow! And who was on the list of phone calls? Brent: Larry Tagg, Michael Urbano, Lyle Workman, Chris Rodriguez, Mike Roe, Jerry McPherson, Steve Brewster, Mark Hill, Aaron Smith, George Lawrence, John Lee Sanders, Vicki Randle, Wayne Kirkpatrick, Molly Felder, Paige Lewis, Tim Pierce, John Fields, Ross Hogarth, David J. Holman, Charlie Peacock, Adrian Bourgeois, Kasim Sulton, Todd Rundgren, Julian Lennon. I should mention that my son, Adrian is playing the acoustic guitar on "The High Road." ST45: That must have been so much fun and what a great group of names! I can't wait to hear the album in it's entirety. So from what I've read on the social media sites about this project, you're doing something that. . . I'm sure has never been done, called a Kick-FINISHER??? What is it? How did you conceive it? And how does one get involved? Brent: Kick-finisher (www.kick-finisher.com) is the doppleganger to Kickstarter. Now, I think Kickstarter is a great program–lots of my friends have done it–Adrian did it; crowd-funding is THE wave of the future as far as making art. I guess I just hated to ask people for money. I asked musicians for their time instead! So once you've finished making a record, this is where you used to hand the finished master over to the record company; the promotions and marketing departments decided where they were going to spend their advertising dollars, how much they were going to pay for radio, and how much they would pay for a tour. Then they turned it over to the distribution arm for delivery into the thousands of record stores. Now there is none of that. How do I make people aware that I even have a record out? At least I used to have a fan base. Bourgeois-Tagg sold a lot of records. And I sold a fair amount as a solo artist. But that was over twenty years ago. The deal with kick-finisher is, instead of me asking you to pay for me to make my record, I'm going to pay you to sell my record. I need a sales force, and who better than the people most interested in me making a record? You can make $1 for every record (download) you sell, or you can donate the money to Julian Lennon's White Feather Foundation, which is dedicated to bringing clean, safe drinking water to those in need in Africa. For every record you sell, 13 liters of water is donated. ST45: That is fantastic! 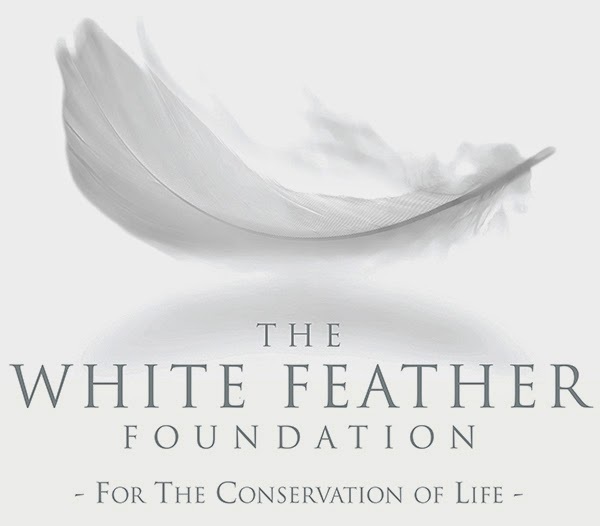 I know about Julian’s White Feather Foundation. ST45: And so how is it going? How long will it last? ST45: Earlier you said the idea of making another record after your solo release some 20 years ago seemed like it would never happen. But now you have this project. 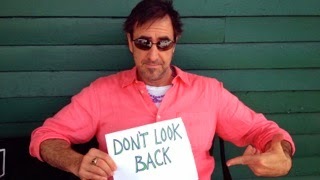 . . "Don't Look Back." Is it possible that Bourgeois fans will see more LP's from you in the future, Brent? And what about live performances? Brent: I hate to place it in the hands of the "fans," but if it sells enough to make it economically feasible to do it again, then I will. I would love to keep doing this, but it is not going to happen unless it can be a part of my living. I think that is a fair thing to say. And to all who might say, "You should do it anyway for the love of it" that's easy for them to say, but it takes a tremendous amount of time and energy, both of which I need to spend on making a living to support my family. I hope this is just the beginning of the 2nd part of my album-making career. ST45: This is very true. . . going out and touring is not easy and it's not as huge a money maker as some might think. But I do hope, for those of us who appreciate you and your music that we'll at least get to see a BB All-Star tour sometime in the near future. ST45: HAHA! Okay! Fair enough. What about a Bourgeois-Tagg tour or even album project? This year seems to be the tour of reunions. Is a probability for you? BRENT: No, but as 80’s nostalgia continues to rise, there are the occasional package concerts with mid-level 80’s acts that we might be a part of. Everyone is too busy with their own careers and lives to do a reunion record. And I've already explained the economics of it. That doesn't mean we won't ever work together again. Those are two different things. ST45: If anyone has read my blogs, they know it's no secret that I am fan of your son Adrian. Do you think we might see a project and or tour between the two of you? BRENT: If I ever do any house concerts, or small club dates, Adrian will be a part of it. He plays everything, can sing background vocals, and is a built-in opening act. What more could you want? ST45: Absolutely! I would love to see the two of you live! And I have a huge backyard that is perfect for a house concert! Just say the word! So, from where we are, on the outside, it would seem that you've accomplished a lot for a young guy who is still in his 50's. Is there anything else you would like to do? BRENT: I would like to make a decent living making music again. ST45: Well if your new concept of distributing music works, I can't imagine you not making a living from it. Before I say thank you, I want you to know how much I appreciate you taking time out to talk with me. I'd like to ask you one more question before we close. Your music will always be your legacy. What I, personally would like to ask you is, what would you like your legacy to be with those who love you, thinking most of your family? BRENT: To be a person who showed love, and who had the proper perspective between work and family. ST45: Brent, thank you so much. As I said, I'm looking forward to hearing the album. Good luck on the Kick-Finisher.